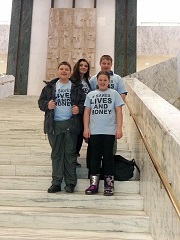 On May 5th and 6th Reality Check programs from around the state gathered in New York City to join groups from around the United States and even some friends from Canada to speak out at the Philip Morris International Shareholder Conference. RC's youth advocates met for a one day training with the Campaign for Tobacco Free Kids. 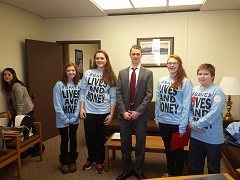 Campaign spoke about PMI's recent marketing campaign "Be Marlboro" and taught RC Teens how they can Stop Marlboro. A small group of youth activist were selected to receive a proxy and have the opportunity to pose a question to the CEO and Board of Directors of PMI about their manipulative and deceptive marketing campaign. Those who did not enter the meeting were able to participate in a protest and street teaming event to make the citizens of New York City aware of what PMI is doing around the world.